This fairly bright upper tangent arc was the only halo effect visible. 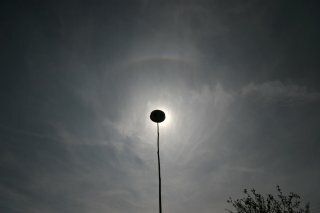 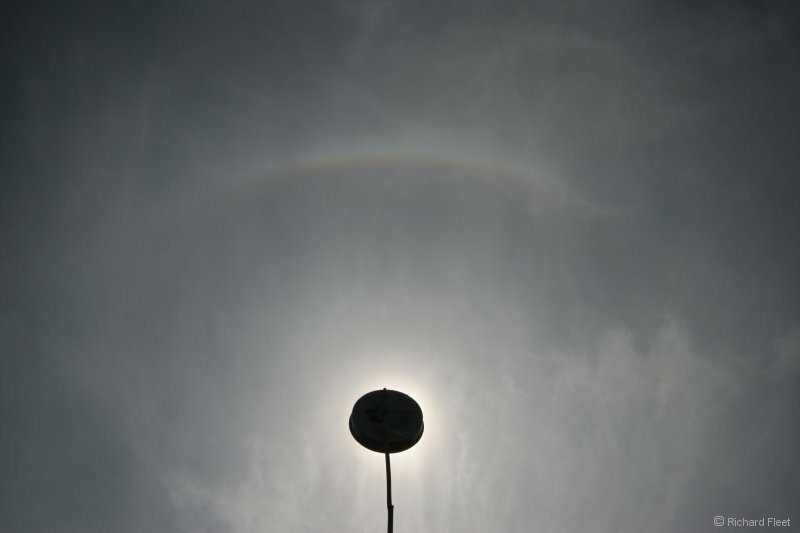 There was no sign of the lower tangent or the circular 22 degree halo. 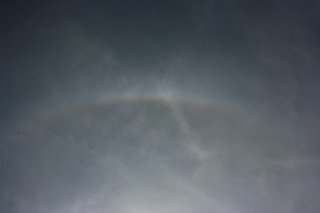 In this image there is just the slightest hint of 22 degree halo splitting away from the left side of the tangent arc.